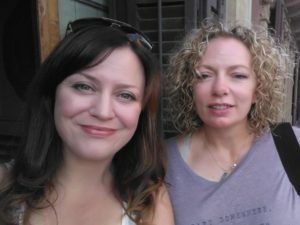 Helen and Debbie set up Yogability as a charity in 2013, the same year they completed 200 hour yoga teacher training with Classical Yoga School (CYS) and special needs training with the Special Yoga Centre in London. Having practised yoga for many years, they both realised they had the same passion, enthusiasm and ambition to give yoga back to others, having received so much benefit from it themselves, and to give back in a way that made yoga accessible to all. They wanted to build a community where yoga was offered freely or on a donation basis and to everyone, no matter the barriers. They continue to enhance their skills via personal development, from Indian Head Massage to postgraduate and specialist training, so as to offer the best of services to Yogability clients. Today, Yogability is a thriving community of carers, mainstream yogis, kids and adults with special needs, volunteers, supporters, friends and family, all working together to help Yogability provide more sessions, encourage kindness and support, provide assistance, yoga, health and wellbeing strategies, friendship, flexibility and most of all, community to everyone involved.